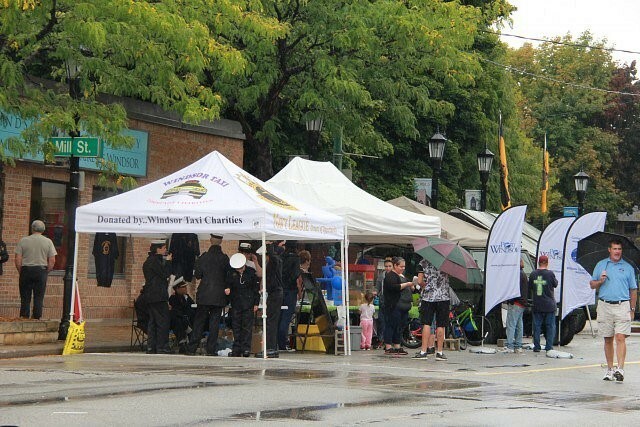 The Annual Olde Sandwich Towne Festival is celebrating their 26th year in 2016, with proud vendors and attendees showing their support in spite of the unfavorable weather Saturday afternoon. The festival gives everyone a chance to experience Olde Sandwich Towne and enjoy some shopping from local vendors, meet other local organizations, and have a chance to enjoy the activities and displays such as the Sandwich Farmers Market and the Essex County Medieval Heritage display & demonstration. The festivities will continue tomorrow and be part of Windsor’s Open Streets event. Windsor Port Authority gives away many prizes, treats and goodies at the festival each year.